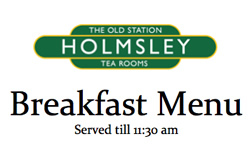 Welcome to The Old Station Tea Rooms at Holmsley. 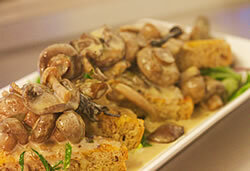 Please visit us and enjoy a selection of freshly prepared foods and refreshments 10am-5pm 7 days a week! Our unique Tea rooms are comfortable and conviniently located for walking and exploring the nearby New Forest. View our Lunch Menus and Kids Menus to get a taste of what you can look forward to at The Old Station Tea Rooms. Served 12 - 3pm daily! 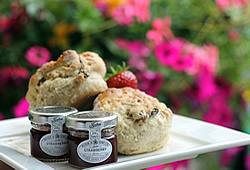 The perfect cream tea, with freshly made scones, gorgeous thick cream and a choice of jams... delicious! Choose from tea, coffee, soft drinks and a selection of tasty snacks including our full Afternoon Tea. 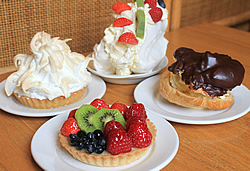 Delicious, tempting and freshly made! Our delicious choice for breakfast includes full English, vegetarian and kids options. 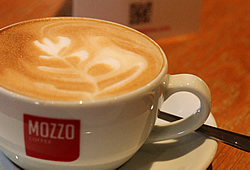 Served until 11.30 daily!